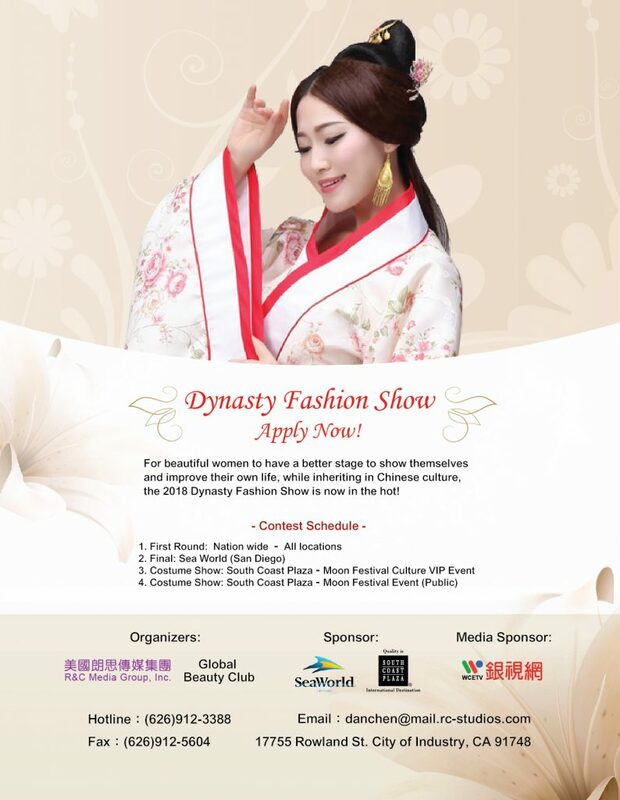 Dynasty Fashion Show – R&C Media Group, Inc.
For beautiful women to have a better stage to show themselves and improve their own life, while inheriting in Chinese culture, the First Dynasty Fashion Show organized by R&C Media Group and the Global Beauty Club. Dynasty Fashion Show originated in Los Angeles. It aims to display the 5,000-year-old costume culture of China and enables future generations to understand the lives of their predecessors, as well as strengthening the influence of Chinese culture to the world. The contestants come from all over the world from the age of 20 to 60. 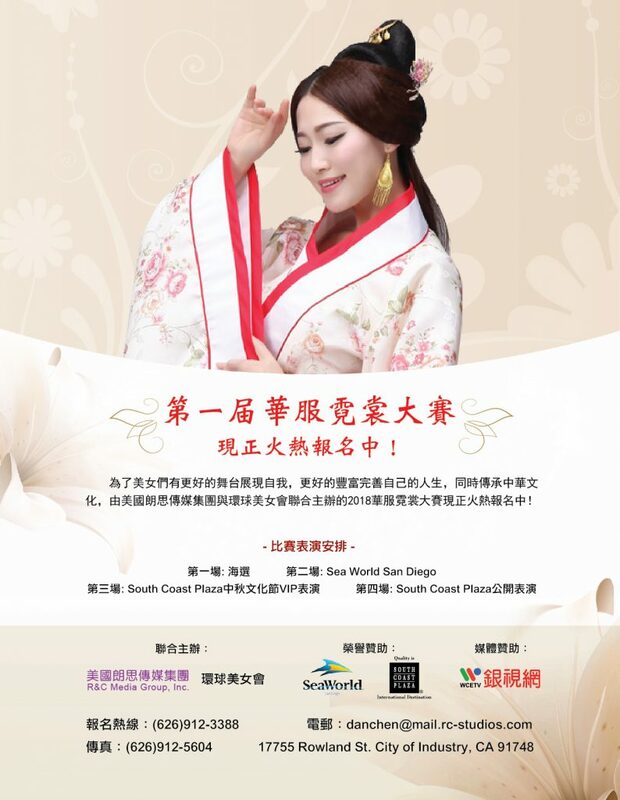 The selected contestants will compete in the finals in Sea World San Diego.